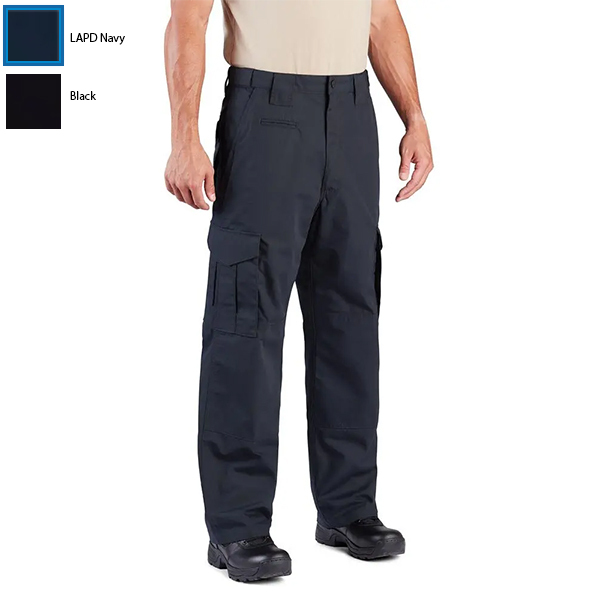 Tactical-inspired design meets EMS functionality in the new PROPPER CRITICALRESPONSE EMS Pant. This durable pant is made from lightweight ripstop fabric and comes with a FREE belt (a $12.99 value). To keep your professional appearance, the pant is fade, shrink and wrinkle resistant and features DuPont Teflon® fabric protector to repel stains and liquids. The hidden slider waistband is comfortable and practical, and with 17 pockets, theres a spot for every tool and accessory. Pair with our PROPPER tactical shirt in LAPD navy or black to create a uniform.